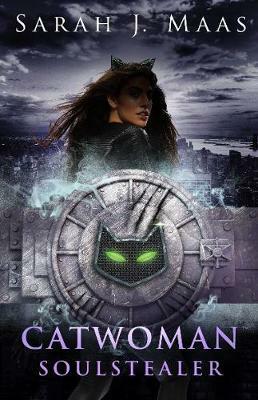 The third instalment in the DC Icons series, where YA writers each write a book based on a DC hero, Catwoman:Soulstealer is written by one of my favourite YA authors, Sarah J. Maas. I have very mixed feelings about this book, and those feelings are very much like those I have about The Cursed Child. As a standalone, away from the DC lore and characters, it is such an enjoyable book. But put into context with the DC Universe and my preconceived feelings about characters like Harley Quin and Poison Ivy, it falls a bit flat (I like to pretend that Cursed Child is a completely different entity to the Harry Potter Books). Catwoman:Soul Stealer follows Selina Kyle as she takes on a new alias, the rich socialite Holly, to slowly bring about the fall of Gotham’s rich and elite while also trying to help her sister who suffers from Cystic Fibrosis. Following on from the Marie Lu Batman novel, Bruce is out of town and his sidekick Batwing, also known as the wealthy Luke Fox, is tasked with taking care of the people of the city. However, as Catwoman begins to wreck havoc with her partners Harley Quin and Poison Ivy, the League of Assassin’s returns to Gotham seeking revenge on Selina, and Luke is faced with the difficult choice to work with Catwoman against the league and let her continue to target the wealthy, or leave the city to face the fallout of the wrath of the League. While I enjoyed the characters, particularly Luke Fox, and the storyline as a whole, I would have liked it more if it was a standalone from the DC universe and not shadowed by the previous depictions of the main characters and the ‘boring’ DC setting. Luke Fox- I really enjoyed Luke as a character, both in his normal persona as Luke, but also when he takes up the mantle of Batwing and the strong morals and standards he holds himself to. I feel like we get enough of his backstory to appreciate his character and justify the decisions he makes and the chapters from his POV really strengthened the story. I also appreciate that he is a POC and he acknowledges how this has shaped who he is and the problems he faces because of his status. Selina Kyle…most of the time- Similarly with Luke, Selina was a very well developed and likeable character. At times I felt that her motives and reasons for her actions were not as solid as they should be, but it was not a problem I could not get past. Her backstory and the way she crafted the three personas that made up her life (Selina, Holly and Catwoman) made up for the shaky motives. The Darkness to the story and the general plot- I often complain about how DC films are always way too dark and take themselves way too seriously (see ‘Suicide Squad’ and ‘Man of Steel’) but I thought Sarah J Maas made it work in this book. It had enough grit and peek of the shady underbelly of Gotham, especially when Selina decided to work with Harley and Ivy, but did not go overboard with it as sometimes DC stories can. As for the plot, I enjoyed the primary story arc and how everything played out, but some of the specifics felt a little off (see below). The portrayal of the DC characters– The heading probably isn’t the right phrasing to use, but what I mean is I felt Harley Quinn, Poison Ivy and even the Joker felt so out of place within the whole narrative and because of their inclusion, I couldn’t help but use their film personalities to shape my own feelings of them in this book which at times didn’t match. The book could have very much been the same if these were original characters, or even if it starred Catwoman and Batwing and was set in Gotham, but had different supporting characters. The magic and supernatural within the world- Now I know that Lazarus pits and similar things are part of the DC universe, but the way that it was introduced within this book just felt like it was added on and not woven into the greater setting. More then halfway through we are told of these pits that can heal and resurrect from the dead, and then it becomes a critical plot line and part to the story…and Selina becomes a super genius and uses the secrets of these pits for personal use. It just felt weird and not very well explained or crafted. Similarly, Poison Ivy felt out of place. While I understand that she is one of the more ‘supernatural’ type of characters, she was introduced in such a weird way. “Oh yeah, she was experimented on and now is part plant-part human…moving on.” It needed to be framed and introduced in a slightly better way so she fit into the greater narrative. Overall it was not a bad book, I did enjoy reading it, but at times I wanted it to be something else or for something more, whether it was world building or more of a movement away from the DC universe (I should probably put this disclaimer at the beginning of this, but I am way on the side of Marvel in the comic book genre). I’ll read the last book in the DC Icons series to see how it all plays out, and I would really enjoy if there was a cross over between the characters introduced in the first three.